So… my name is Ida. Weird name I know, but that is alright. Hopefully you don’t judge me. I am willing to admit that I am kind of a weird guy. I spend a lot of time up in the mountains. Specifically the Ozark mountains. This is a mountain range that covers a large section of the state of Missouri. It is a beautiful one I might add. No, I don’t live there, I’m not that weird but I love to spend time up there observing and thinking. I am sure from what you have read so far, you probably think I am a very introverted person since I like to spend time in the mountains. Maybe not, but I sure would if I was in your shoes. I am actually a very outgoing type of guy, I just see a lot of value in spending time alone. Today’s world is so busy all the time. People rarely ever spend quality time alone anymore. At this site ldaozarks, I will be blogging a lot about the importance of spending time alone and how it can help benefit your life. It’s not like you have to go to the mountains to get away. 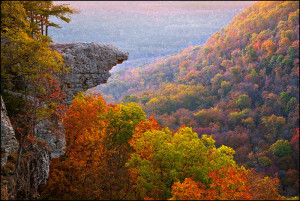 The beauty of the Ozarks and the feeling they gave me is what inspired me to keep going back and spending time alone. They are also what inspired me to start this blog. If you want more information on any of my posts or simply just want to talk contact me! I am always willing to chat or to give a helping hand.